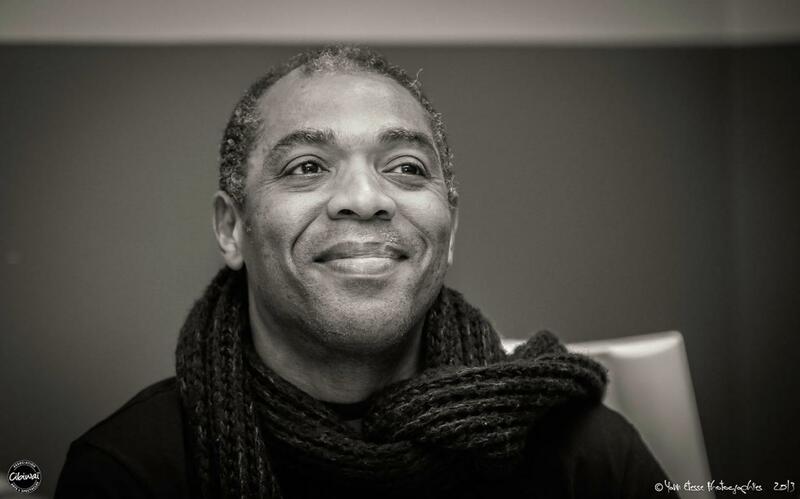 Nigerian musician, Femi Kuti has broken the record for the longest single note played on a saxophone. Afrobeat front-liner, Femi Anikulapo-Kuti, on Sunday evening broke the world record for the longest single note played on a saxophone, Punch reported. 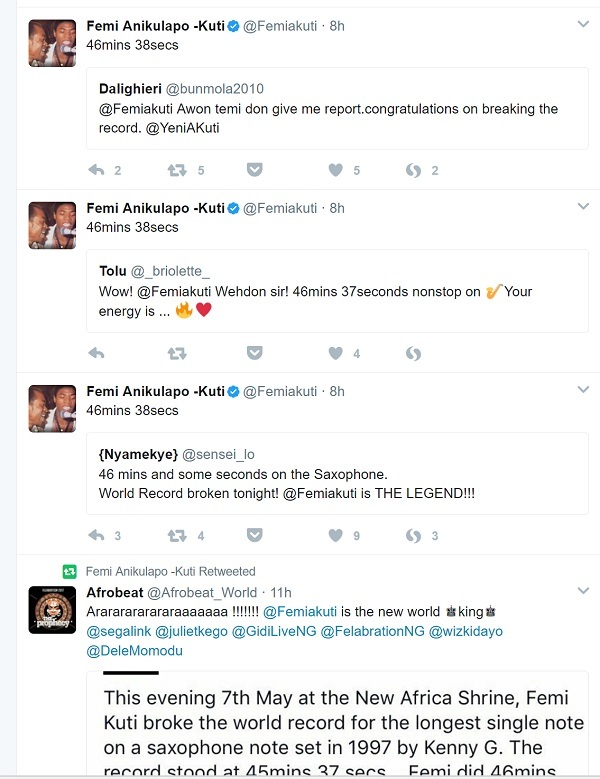 The record was made after Femi played for a record 46mins 38secs to beat jazz musician, Kenny G’s 45mins 37 secs, set in 1997. 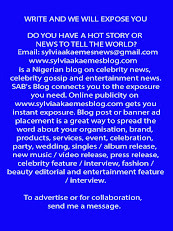 He broke the record at the Sunday Jump event at Africa Shrine, Agidingbi, Lagos. It was also gathered that Femi broke the record the record in the presence of a large audience that included Sen. Ben Murray-Bruce; the deputy high commissioners of Netherlands and The United Kingdom. Yeni Kuti, sister of the musician broke the news on her Instagram page. "This evening 7th May at the New Africa Shrine, Femi Kuti broke the world record for the longest single note on a saxophone note set in 1997 by Kenny G. The record stood at 45mins 37 secs....Femi did 46mins 38secs!! Give it up, we have a world champ. This was witnessed by a large audience that included Sen. Ben Murray-Bruce, the deputy high commissioners of Netherlands and The United Kingdom etc." she wrote on Instagram. This evening 7th May at the New Africa Shrine, Femi Kuti broke the world record for the longest single note on a saxophone note set in 1997 by Kenny G. The record stood at 45mins 37 secs....Femi did 46mins 38secs!! Give it up, we have a world champ. This was witnessed by a large audience that included Sen. Ben Murray-Bruce, the deputy high commissioners of Netherlands and The United Kingdom etc.